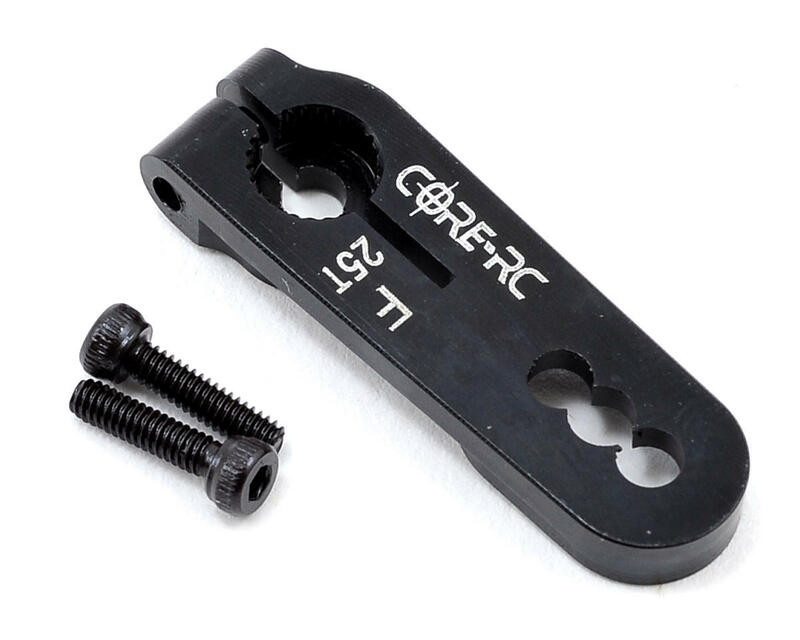 This is an optional Core-RC Black 25 Tooth Aluminum Short Servo Arm. 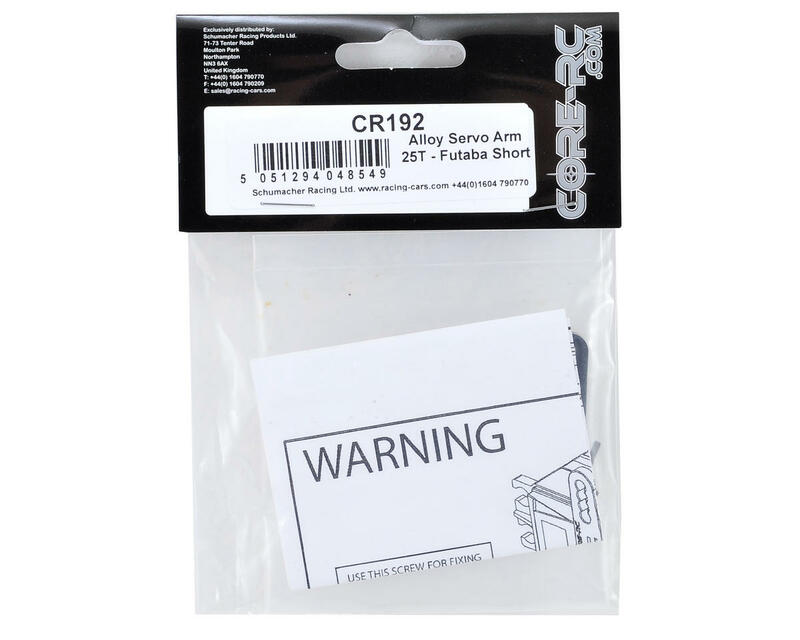 This servo arm fits Futaba, Savox, ACE and ProTek R/C servos, and is ideal for use with the Cougar SV2 and Cougar SVR buggies, as well as other applications. This package also includes two screws.